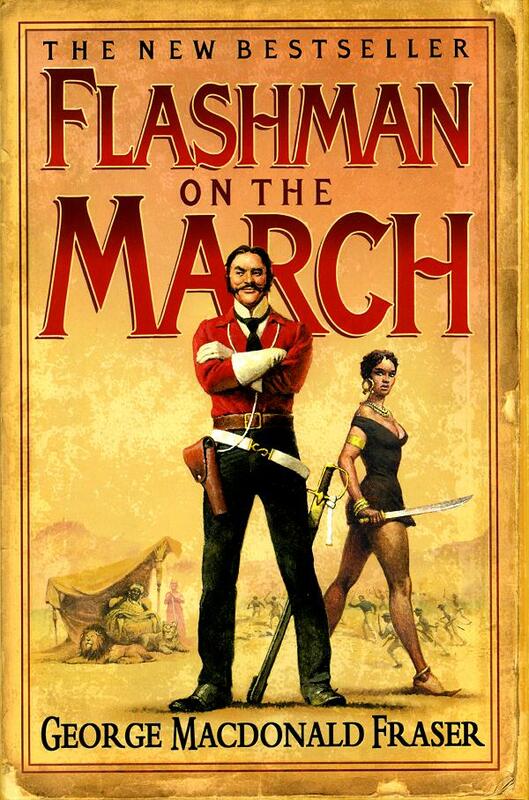 One Eternal Day: The final Flashman? The inspiration for Sir Harry Flashman came from the 19th century novel, Tom Brown's Schooldays, where the character features as the cowardly bully who torments the hero, Tom. MacDonald Fraser based his tales on the idea that Flashman's "memoirs" had been unearthed in an old trunk in a Leicestershire auction room. When we join Sir Harry Paget Flashman at the beginning of Flashman On the March, he's desperately attempting to get out of Trieste, where he recently arrived as a refugee following a stint as an officer of the Emperor Maximilian of Mexico (poor Maximilian!). He runs into an old acquaintance, a British diplomat who is trying to find someone to protect a shipment of silver to Suez, for delivery to Gen. Robert Napier. Napier is buying support from various African tribes against King Theodore of Abyssinia (today known as Ethiopia). Theodore, who Flashman will come to describe as the maddest monarch he ever met—which is saying a great deal—has kidnapped a number of Europeans, and Napier is leading a relief force.